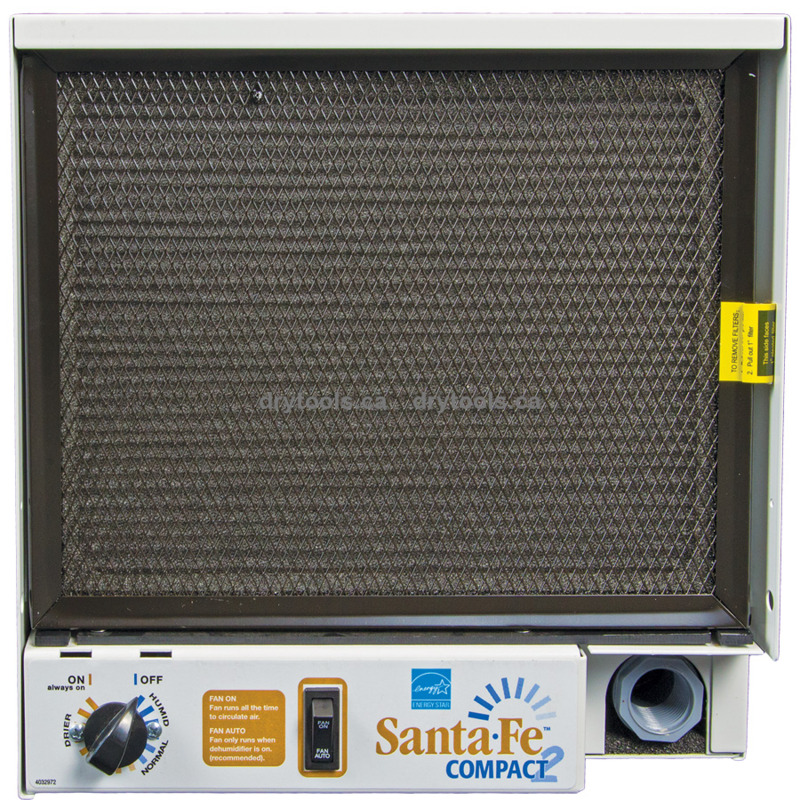 The Santa Fe Compact 2 dehumidier (Compact 70) is specifically designed for medium sized basements and crawlspaces. 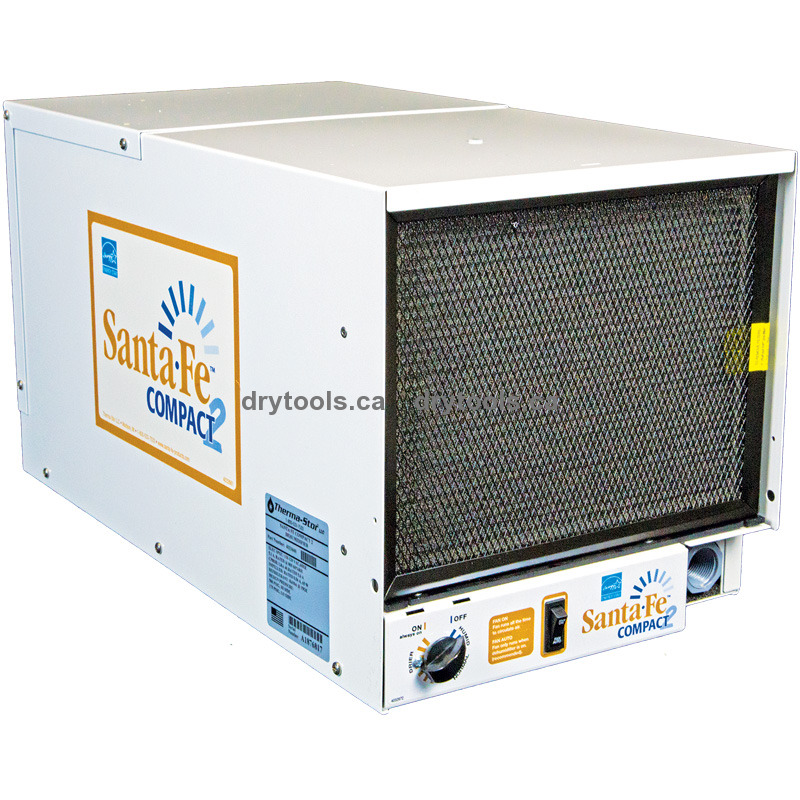 Only 12" tall and 12" wide, the Santa Fe Compact 2 can fit where no other dehumidifier can. Ideal for medium sized basements and crawl spaces up to 1,800 ft² (167 m²). 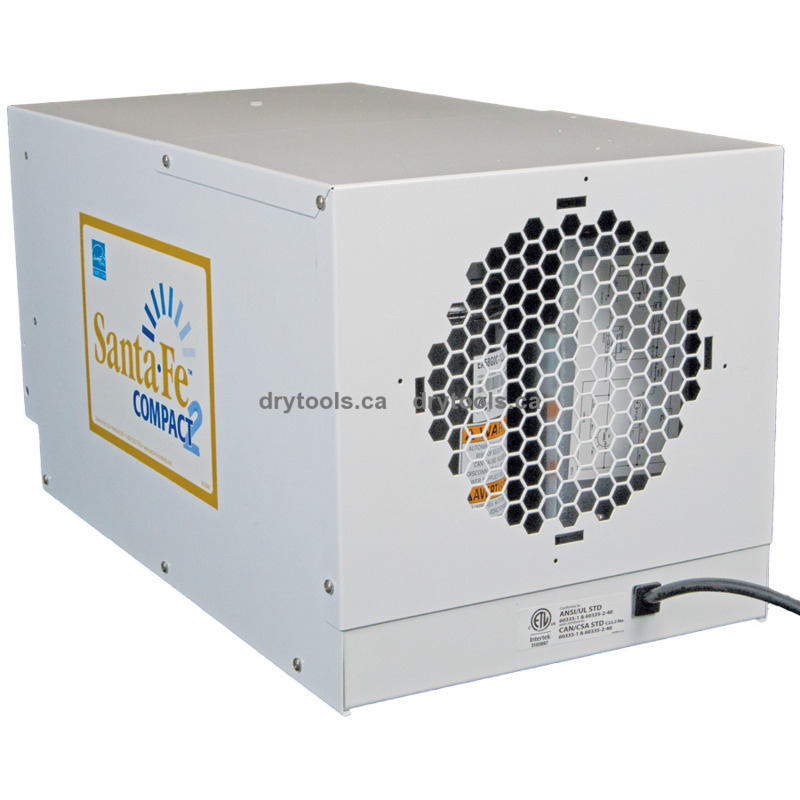 No conventional dehumidifier can perform as efficiently and effectively in crawlspaces as the Santa Fe Compact 2. Studies show that as much as 50% of the air in your home travels up from your basement or crawl space. Typically this air has a higher relative humidity than the upper levels air in your home. This moist air can also carry with it musty odors and allergens such as mold spores, mildew, bacteria, and dust mites. High moisture levels in your crawl space or basement may also damage your home's infrastructure, flooring, furniture, and electromechanical systems. That's why it is important to keep these areas dry and clean. The Santa Fe Compact 2 Dehumidifier can help you do just that. Quiet Operation – Has a sound level of 58 to 63 decibels at 6 ft (2 m), which is roughly the equivalent of quiet to normal conversation. High Efficiency – Exceeds Energy Star® power efficiency requirements. Low Temperature Operation – Engineered for crawlspaces, and the temperature/air flow issues they present. Many conventional dehumidifiers will stop removing water from the air while the Compact2 keeps on protecting you and your home. Superior Air Filtration – MERV-8 Mini-pleat (70% efficient) filtration is standard on the Compact 2. This superior level of air filtration also keeps the Santa Fe Compact 2 working at peak efficiency for longer than other devices with cheaper designs. Auto Defrost – Should frost form on the internal components in lower temperatures, an automatic defrost system shuts off operation and quickly melts frost so the unit can resume normal operation. 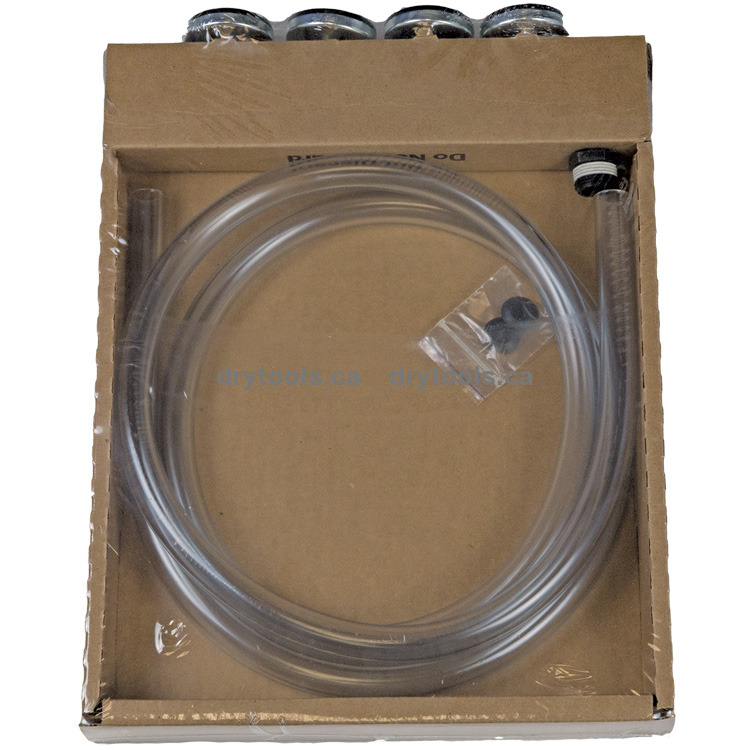 Optional Equipment – Remote ducting kits, hang kits, caster kits and condensate pumps are also available for the Compact2. Filter Size: 9" x 11" x 1"